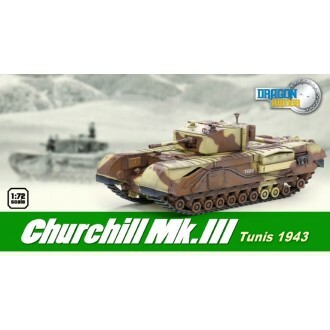 The Churchill was named after the British Prime Minister of the time of it's design during World War Two. 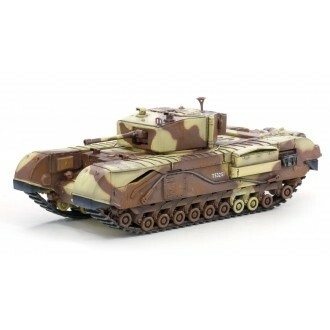 The tank was heavily armored and featured a long chassis with long track runs which enabled it to cross difficult terrain. 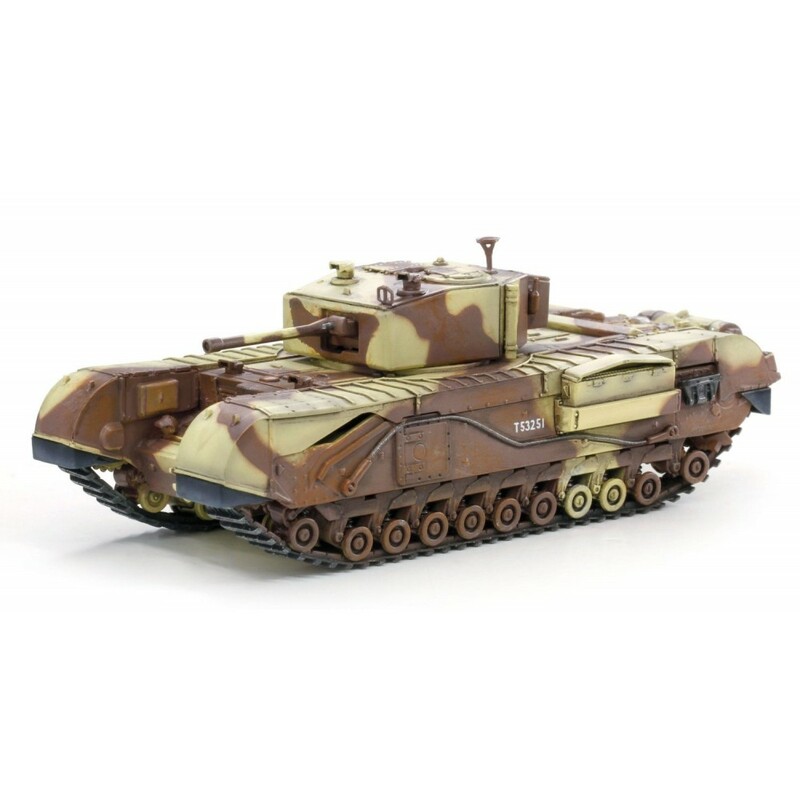 This highly detailed plastic model is expertly pained and includes a rotating turret. The model is presented in a clear plastic display case.